FULL BRICK WITH OUTDOOR OASIS! 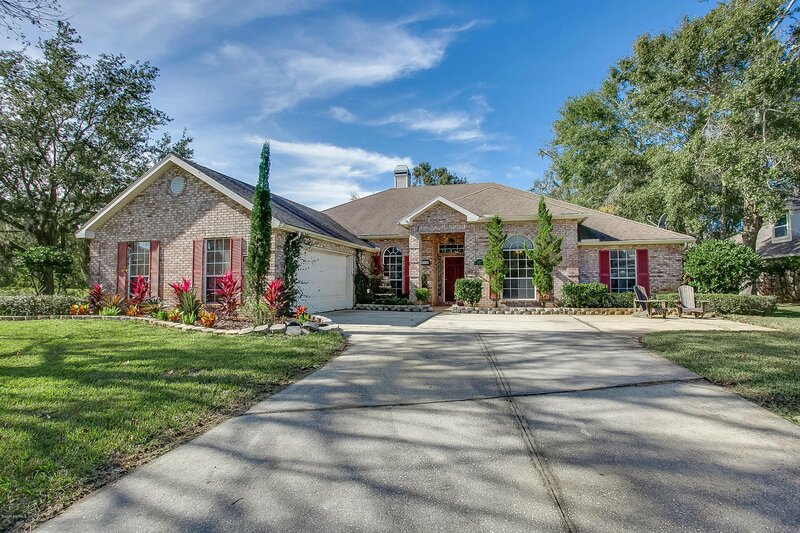 Located in highly desirable Mandarin gated community. Home features updated kitchen with granite countertops, island ,stainless steel appliances including a gas range, beautiful handcrafted cabinets. Family room features custom built in cabinets. Formal dining and living room with two-sided fireplace. Master also has handcrafted built-ins with ensuite that includes double vanity, garden tub, and separate shower. Spacious secondary bedrooms. Enjoy outdoor entertaining on the covered lanai with built in serving area. Make a splash in the tropical pool with waterfall. Largest lot in the community with pond views! HVAC is two years old, new water heater, hardwood floors and tile. No carpet. Two-car garage and huge backyard is completely fenced. Summer Haven is a gated community and features community pool. Close proximity to I295 & I95, major shopping and beaches! A great place to call home! Listing courtesy of RE/MAX SPECIALISTS. Selling Office: WATSON REALTY CORP.